This is wild! The Rockets, coming off two straight seasons with 50+ wins under McHale’s guidance, were a popular pick to make some serious noise in the Western Conference this year. This team is an even deeper version of the one that went to the Western Conference Finals last year, and yet they have sputtered to a 4-7 start. It’s hard to pinpoint exactly what’s gone wrong for the Rockets, other than to say everyone is playing poorly. They rank 25th in offensive rating and 28th in defensive rating so far, all while superstar James Harden and new point guard Ty Lawson have been playing particularly dreadful basketball. Things are so bad that the Rockets held a players-only meeting yesterday morning. 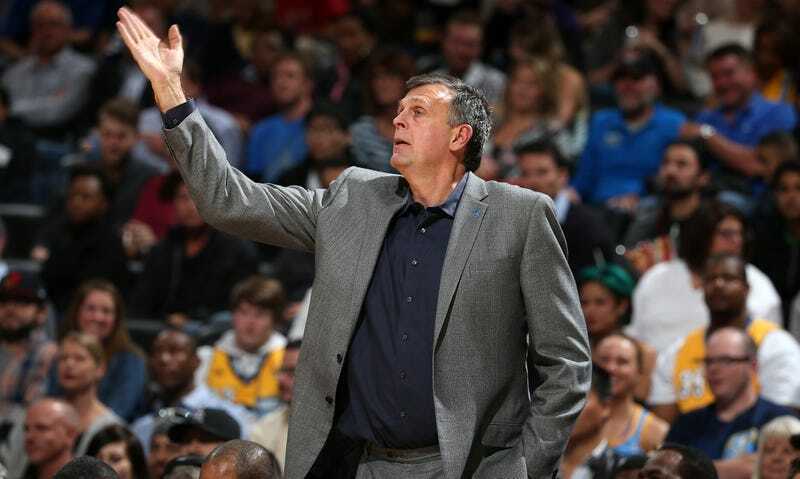 McHale received a contract extension from the organization just a year ago, making the move to fire him about as drastic and unexpected as something like this can be. He’ll reportedly be replaced on a interim basis by assistant coach J.B. Bickerstaff.